During May 2015 we took a trip to France. After spending three full days in Paris, we rented a car to head out to Normandy and then on to the Loire valley. 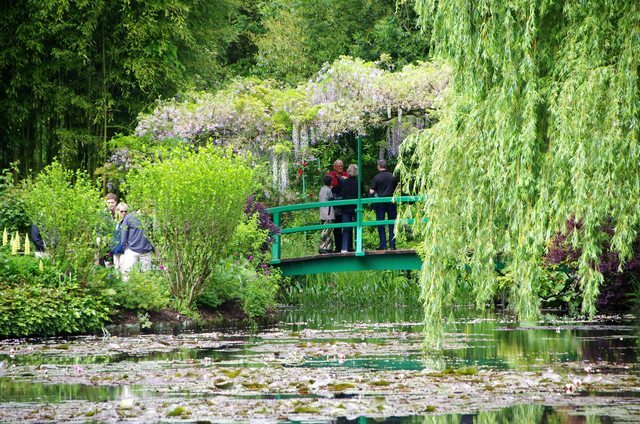 We stopped at Claude Monet’s gardens in Giverny on our way from Paris to Bayeux. 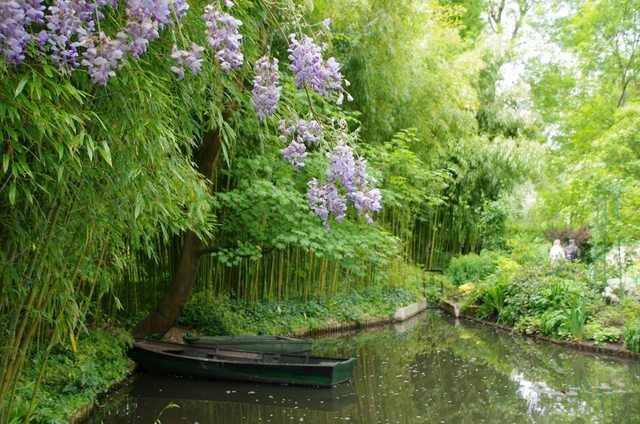 I’m not sure if the gardens of today are still true to how Monet planned them, but they were lovely nonetheless. 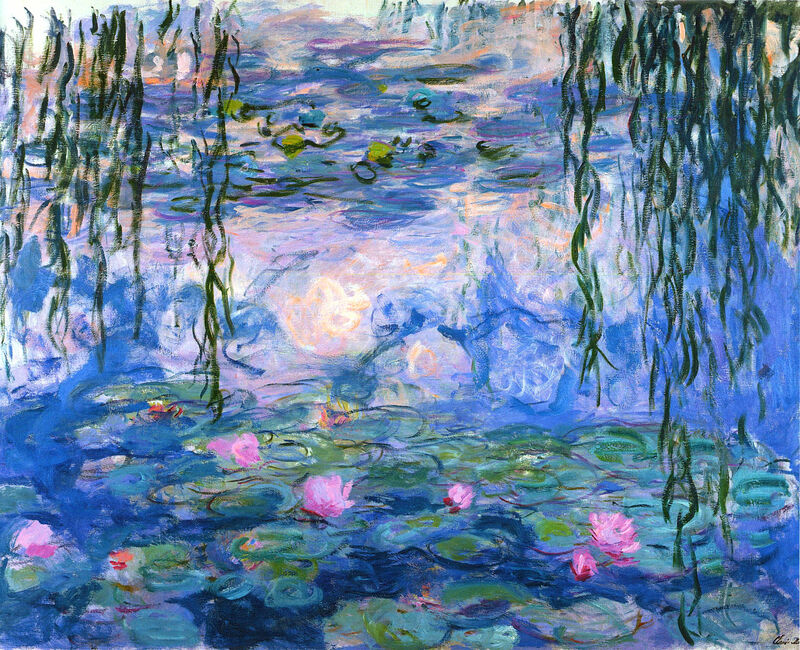 I was particularly excited to get to see the ponds and water lilies and a slightly-modernized version of his Japanese bridge — both made famous by his impressionist paintings. 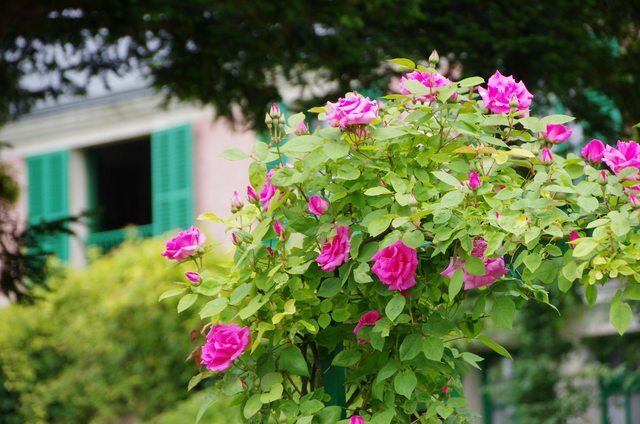 I was truly amazed at the huge variety of plants and colors that were present in Monet’s gardens. 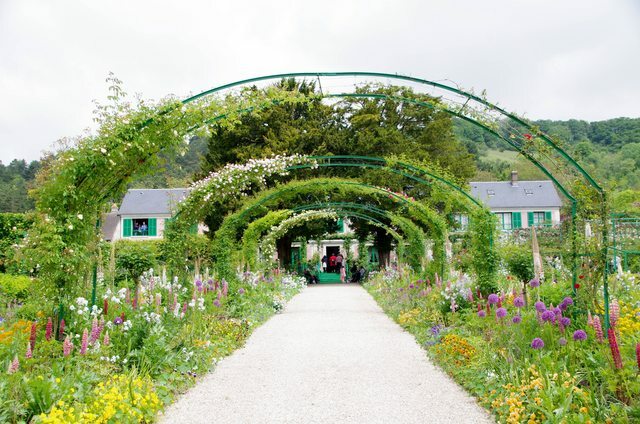 I like to think that Monet put a lot of thought into designing the gardens and that maybe what is there today still looks like what he envisioned in his head…like a living work of art. We got a little bit turned around after we left the parking lot. There weren’t really any signs indicating where the entrance to Monet’s Gardens was, so we walked the wrong direction for a bit. We eventually gave up and turned around, and I took this photograph on our way to the entrance, not knowing that it was actually the back of Monet’s house. 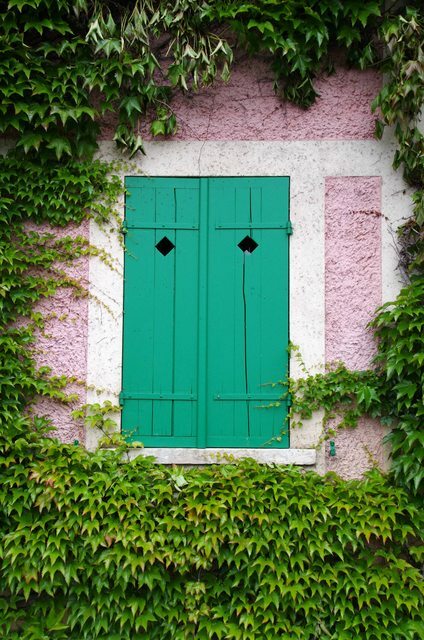 I thought that the shutters, vines, and colors were charming. 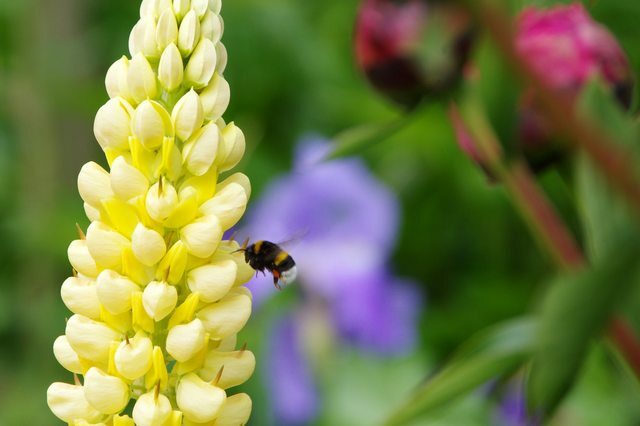 I was immediately intrigued by the size of the lupines. Being a Texan, I’ve seen more than my fair share of bluebonnets (a member of the lupine family), but I have never seen lupines this big! 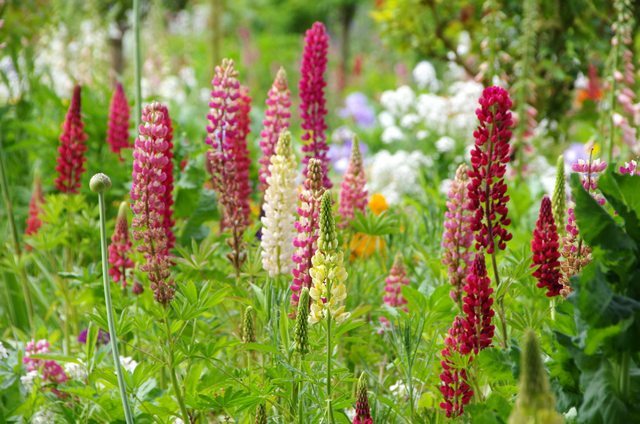 The flowering portion of the lupines was easily more than 1.5 feet tall. So beautiful! The variety of flowers in the garden was quite impressive. It was amazing how well maintained everything looked despite all of the different types and colors of plants. Sometimes I think my personal garden looks a little bit messy because of the large variety of colors and plants, but the variety makes Monet’s garden truly lovely! 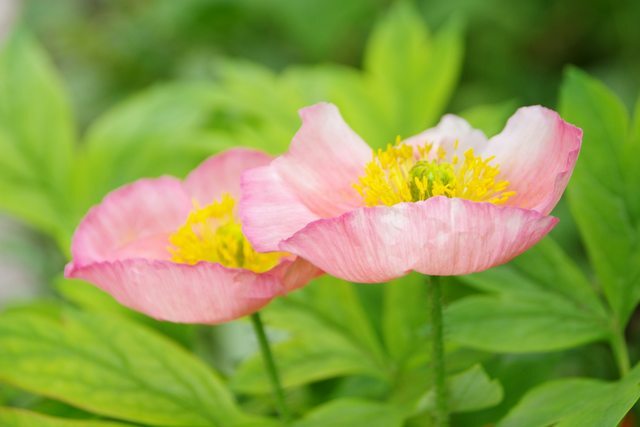 The delicate poppies with their intricately made centers were amongst my favorites. I may try to start them (from seeds) next spring, though I’m uncertain how well they’d hold up to the gusty panhandle winds. As we meandered through the various garden paths I tried to take photographs of flowers that included Monet’s house as a background. 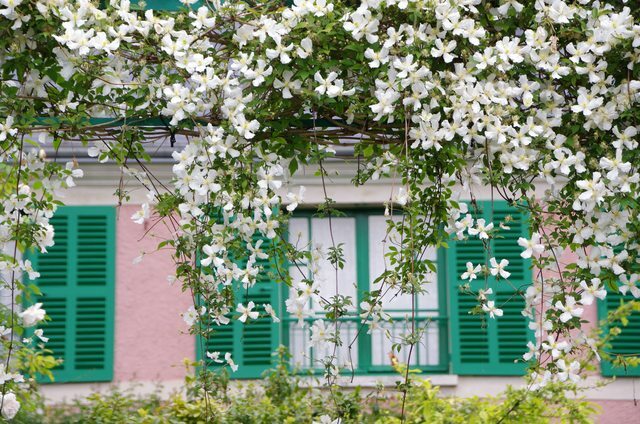 My clematis at our house was in bloom when we left for France, so it was exciting to see the clematis in Monet’s garden in bloom at the same time. The blooms on the clematis in Giverny were much more dense and plentiful than the blooms on my own clematis. 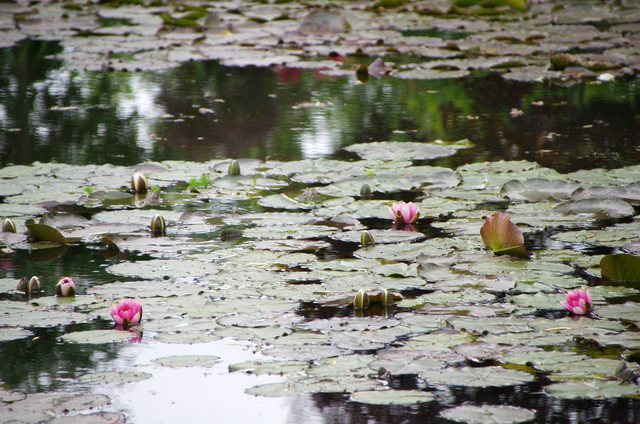 Getting to see Monet’s Japanese water gardens was the icing on the cake. 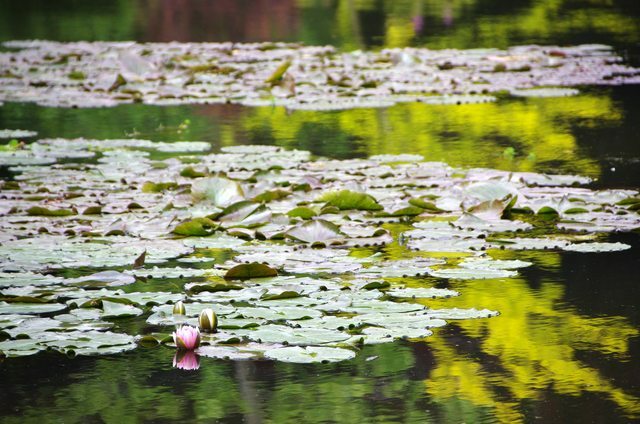 I’ve seen so many of his water lily paintings in recent years, and seeing HIS water gardens — the inspiration for a TON of his paintings — was almost TOO. MUCH. TO. HANDLE!!! The bridge that he painted in so many of his paintings was no longer wooden (it was replaced by a metal version), but the new version was still true to the design and style of the original bridge. 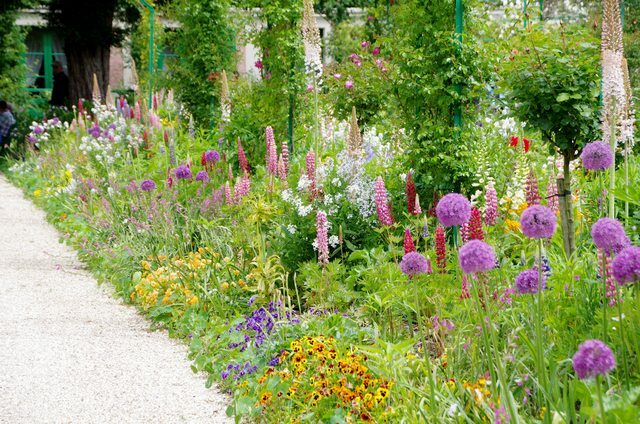 When he started “building” his gardens, the people of Giverny were very concerned that his foreign plants were going to poison their water supply. I suspect they’d be amazed if they could see what it has become today. I struggled to get a decent picture of the bridge because there were either too many people in loud colors standing on it or there were trees or plants in the way. I knew it would be futile to wait until the bridge was people-free to get “the perfect” photo, so I opted to wait until the people standing on the bridge were wearing darker clothing or at least somewhat muted tones. The wisteria that was growing over the top of the bridge was lovely. I bought my own wisteria plant shortly after we got home from France. I wasn’t sure what this flower was when I photographed it. 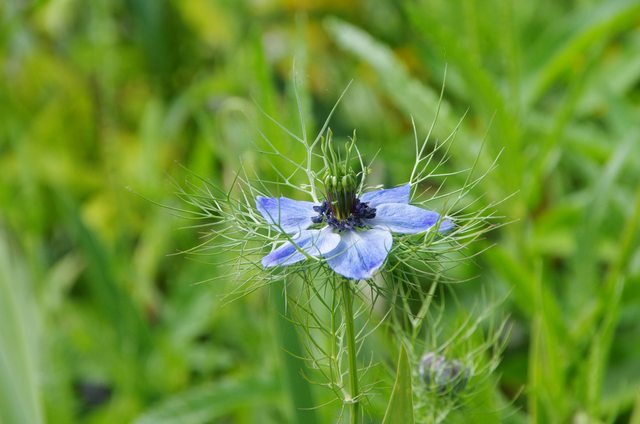 My dear friend Heidi saw the photograph when I uploaded it to Facebook, and acquired some seeds from this type of plant from one of her garden club friends and mailed them to me — and identified them as love-in-a-mist (Nigella damascena). I’m definitely looking forward to planting them next spring. They’ll be a sweet reminder of both a wonderful friend and a wonderful trip.